"In fact, there are very strict rules that control what bodies can and can't do. These rules keep creatures from getting too big, and because of them, the real superheroes are usually small - a lot smaller than humans." Most mathematical concepts are somewhat complex for my brain...I think I have an aversion to things mathematical, except perhaps spending money. Great writers can take such ideas and make them somewhat understood by my non-math brain. Nicola Davies always does that for me. I just hope that this book reaches kids who would be interested in such fascinating rules as the BTLT one which states: 'If you double the length of something, its surface area and cross section go up FOUR times, while its volume and weight go up EIGHT times!' Too many math words for me to grasp and understand. Luckily, she goes on to describe what that means in terms that I get! Some of the questions answered are commonly asked ones. Why are animals different sizes? Why can't big animals fly? How can small animals be so strong? But, how many people ask them? This book will appeal to those who constantly wonder about the world and love to fill their heads with facts that others might not know...great for conversations and sharing at some point, I suspect. The creators are not new to making books that deal with intriguing subject matter...most recently notable are poop and parasites. You will be entertained and informed when you read this book! And, you might want to look for others by the same team...they will fill your head with much intriguing information. "In the kitchen I say hello to Chef Ben. There is so much steam, I can hardly see him. 'Hi, Louie - is that you?' he says." Louie loves to visit his grandfather, who owns a Chinese restaurant. The hustle and bustle of food preparation is a perfect interlude before they can take the time to eat. Louie visits all the workers and admires their work, their food and eagerly anticipates the meal that he and his grandfather will have together. When it arrives, it's his favorite, as usual. Very different from what his grandfather orders, but tasty just the same and much appreciated by both Louie and his friend Franklin, who is there for dinner with his family. With happy tummies, and equally happy smiles, Louie and Franklin finish their Friday night meal with a fortune cookie. Rachel Isadora's collage art is stunning. The strong colors and patterns of the papers she uses add depth and warmth to the setting. The bold colored fish, the dramatic Chinese lanterns hanging from the ceiling, and the delicious foods add to the appeal for all readers. I know a few whose favorite page will be the paper dragon, hung above Louie's table to bring him good luck. Makes me want to head right out to get my own plateful of chow mein, shrimp and rice! MMMM! "Sixty seconds. That's one minute. A lot can happen in one minute. For starters, David can save his spaceship from the Glucazoids. Look around and see what else happens in a minute." The heart beats eighty times, an average kid will take twenty breaths of air, we will shed 10,000 particles of skin...did you know all of that? And that's only a part of an early page in this lively, informative book about time. What might happen in an hour, or a day? As the reader, you are constantly bombarded with facts; and, there is so much to learn. A brief story provides a place to start but you don't have to follow it to gain information and new trivia to keep in your head for future discussions. I would love to share many of the bits of data provided but I think you would be better to buy or borrow this book to see how much fun it really is. 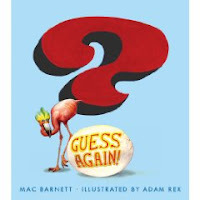 Cartoon like drawings and speech bubbles set the tone for reading and its accessibility will make it a fast favorite...with clear explanations, funny facts and a great appeal for all readers. Finally, there is a timeline that traces the evolution of timepieces throughout history. Read this book, and then read it again...and share it with your friends! he couldn't sleep in his den in the dell. Old Man Winter wants Big Bear to find shelter and go to sleep...the cold weather is coming. But, Big Bear has a hearing problem and is not too adept at receiving the messages his friend is sending. So, he drives a jeep, sweeps a house, plays leapfrog, dives deep...all the while becoming more weary and irritable. When Old Man Winter loses his temper and uses his loudest voice, Big Bear finally receives the intended message. And, he is very pleased to hunker down, close his eyes and take advantage of the advice...although it seems to be a bit late, if you don't mind his saying so. I can just hear those little ones joining in to help Old Man Winter get his point across, while Big Bear goes unwittingly on his way, doing what he thinks he is being told. Will Hillenbrand's majestic illustrations give us a sense of the world that big bear is living in, and threatening with his silly behaviors. We are given visual clues to Bear's interpretations, before he follows the instructions that he thinks he is hearing, and we are always ready for the next time. Old Man Winter's incredulous face, the changing perspectives and Rabbit's constant companionship add to the endearing tone of the story. I can't wait to read it in Val's class when the children are back to school in January. Another keeper! "Who's on Captain Gluebeard's shoulder? Gold is gold. That feather's golder. Got a guess? It's time to share it. Oh boy, what fun to try to guess the answers to these quatrains! And the fun never ends. No matter how hard we try to get the right answer, we are always upstaged by the silliness of the writer. It would appear there is a logical answer...even the art seems to help in the guessing game. But, not so! Each answer is impossible to predict and therein lies the fun! Our best guesses fly in the face of Adam Rex's artwork. He seems to be giving all the needed clues for an educated guess, and then he turns the tables on us, too. I just wish there were more! When I finished reading the seventh, I felt a bit of sadness that I could not read on and on. Kids will howl at the fun, and then beg to read it all over again! My best praise for this book is that it will be loved by many, and kept on my 'tens' bookshelf...a space reserved for only those books worthy of a '10'! 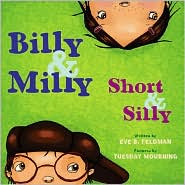 It's another of those mentor books that could be used with young writers to help them develop humor, rhyme and oddball fun. "Pierre was in training for the poodle championship. Every day after breakfast he ran on the treadmill. On Tuesdays he went to the School for Show Pups, and on Thursdays he went to Poochelli's Pet Parlor for a shampoo." Ah, my worst nightmare...and it turns out that Pierre feels the same way. He wants none of this poodle pampering. He loves Miss Murphy; but, he longs to be free to run with the other dogs, chase squirrels and do what dogs are meant to do. You knew that he would get that chance, didn't you? Off he goes with the guys, Sparky and Lou, to explore all that he has been missing. But, it's not perfect as you might guess. He misses his owner, he's cold and hungry, scared...and lost! He's a mess when he finally decides that his old life might be just the thing for a poodle with the need for warmth, love and overindulgence. He searches high and low for his owner, finally making his way home and is welcomed with some trepidation, until his perfect training proves he belongs. You are sure to enjoy the detailed, expressive illustrations that give life to both of the main characters. They have matching hair and hats, share the love of hearth and home, and they love to spend time together. Take time to pore over the pictures to truly enjoy the experience. Young readers will find much to discuss as you share this story. 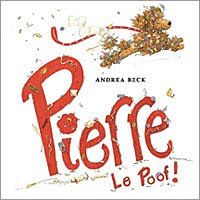 It is suggested on the front flyleaf that this is the first tale in a new series about Pierre. Andrea Beck has had great success with her Elliot Moose stories, and now we have a new character to admire. Watch for future books about Pierre and his adventures. What a treat you have in store when you read this oversized, hilarious retelling of 'five classic tales'! It begins with the wolf, and the three pigs...Alan, Gordon and Blake. At each pig's newly constructed house, the wolf threatens and the pigs prevail. Blake, the last and smartest brother wears him down and the wolf, famished, frightened and fed up with ryhming, heads off to the meadow where he spies sheep. Barry, the shepherd, is bored and is looking for some excitement. He wouldn't even mind a predator or two. Of course, he wants help from the villagers and cries WOLF! to see if they will come to his rescue. You know the rest of that story...Barry is no help when faced with the wolf, but the sheep are not deterred. Soon the wolf is staring a big flying rock in the face and is not that thrilled about the turn of events. I am sure you have a taste for it now, but you have to read it to truly see the twists and turns in this smart, irreverent and oh, so enjoyable retellling of five of our most well-known fairy tales. I have read it many times and still laugh out loud at the wonderful language and the engaging graphic art. So much fun...you don't want to miss it! "When Ellen was born, the relatives came to celebrate. Grandmas and grandpas. Aunties and uncles. And cousins by the dozens. Everyone ohhed. 'Look at the sparkle in her eyes!' Everyone ahhed. 'She hardly ever cries.' Everyone cooed and gitchy-gitchy-gooed. 'She's smart.' 'So cheerful.' 'And strong!' Everyone had plans for Ellen." Each new visitor brings a personal prediction for Ellen's future. They have their reasons, and their desire for Ellen to be just like them. Ellen is predictably agreeable as they stand over her crib and plan her life. They do it with love and a desire for a wonderful life for this new wee girl who burps, burbles and coos. They are delighted with their visits and enchanted by her presence among them. She might be a fisherman, a dancer, a birdwatcher, a musician, a truck driver...who knows? The noise is fearsome and ever-growing, until Ellen puts a stop to it! With a howl that quiets the crowd, Ellen is lifted from her crib and offered up her own take on the joy that surrounds her...she will do just what she wants for now! There is such joy and love in the watercolor artwork that presents each of Ellen's relatives on their first visit. They crowd around offering gifts, baby talk, and wonder. 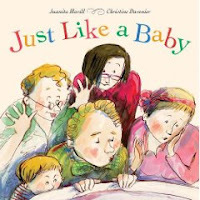 Juanita Havill has chosen to tell her story with descriptive language and a great deal of fun, in the face of too much attention at one time. We have all been there, right? And in the end, Ellen will be who Ellen is and that's that! "Tim waits on the platform at the train station. He's just moved to this town. He lives here with his mom. His dad lives in another town. But today, Tim's dad is coming on the train. They are going to spend the whole day together - just Tim and Dad." What joy when he finally arrives and Tim is scooped up and hugged! Then, it's up to Tim...and he knows just exactly what he wants of this day. Off they go for hot dogs and a movie. Once the movie is over, a pizza seems in order and finally, a visit to the library. At each place, Tim is proud to introduce his Dad and prouder still to be with him. Time passes too quickly and Tim dreads the final few minutes as they head back to the train station. As they take a look around the train car that will carry his father away from him, it is his Dad's turn to proudly announce that Tim is his son and the best! One last hug and a long mournful wave as Mom and Tim watch the train carry Dad away from this visit...but Tim knows he will be back, and that is enough for now. A powerful and poignant story simply told, but with emotion and warmth. The softness of the colored pencils adds just the right touch. Each framed illustration evokes the love of each for the other, along with the joy and sadness that the visit brings. A story to be shared that offers a chance for children of divorce and separation to voice their experiences in open and meaningful discussion. They know what to do to survive. How to swim - so they come out alive. For we don't swim instinctually." In her introdution Alice Low talks about early sports, mostly played with stones or objects that looked like balls. Athletes also ran to survive, or danced to bring sun and rain. There were many reasons why sports became a part of daily life. Soon, they provided fun and entertainment. With each poem she adds a note about the sport whose beginnings she imparts, giving readers a very short history lesson on its origin. 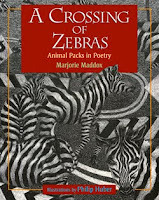 Her poems then describe those beginnings, often with humor. Sports fans will garner information about their favorite one. The cartoon drawings invite long looks and much discussion about the sport itself, the times and the setting. 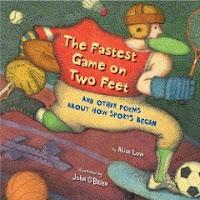 An author's note explains that she began with one sport, researching its beginnings and then wrote a poem. That started her wondering about others and voila, we have the book that is here described. Alice Low adds other information in a note at the end of the text and finally, a timeline that places each sport's origins in history, dating all the way back to 5200 BCE. What fun! There are few words of dialogue here, which just makes the story more appealing! As a little girl and her Dad arrive at the playground you sense her delight in the swings. As Dad pushes her higher and higher the sights grow more and more fantastic...she sees a giraffe, the windows and roof of a very tall building, a mountain climber at the peak, an airplane, a rocket ship and she finally connects with an alien space creature. They are friendly, with their hellos, high fives and goodbyes. As she comes back to reality, we can anticipate just exactly what her next request will be! I am sure that you will hear the same thing from your listener when you finish reading the book! I remember being queasy when I went too high on the swings but it never stopped me from trying it again and again. I thought that sometime I might just flip right over the bar at the top. Never did I imagine that I might fly as high as a building, a mountain or an airplane flies. For those who always dream bigger, this book will take you right where you want to be. The artist provides clues to what's next, and the little girl rides on. What a delightful book to share with our youngest listeners; but its joy won't be lost on those a bit older. After all, they will have stories to share of their highest pushes! Just to prove how tired Christmas makes everyone...it didn't occur to me until now that I could wish you all a very happy Christmas Day right here. I made a promise to myself that I would try to blog every day once my dear friend Ingrid got me started...there are so many books and so little time. But, I am beat today after all the celebrations and would not give it my best. I have it on good authority that even Bolen's Books in Vicoria, BC closes on Christmas Day, so I will go to bed with a clear conscience knowing that if you did happen to look here today, you will know I was thinking of you and wishing you all peace, joy and love for the holiday season. "He also loved the stories his mother would tell him of her own piglethood. How she had been small and a little mischievous. How she had been sent to an old schoolhouse in Paris that was covered in vines, where the girls walked in two straight lines. Louie would stay up late and draw parts of her story." In a note from the illustrator, Will Hillenbrand says that this story is loosely based on the life of Ludwig Bemelmans who is mostly widely known for his Madeline story which was published in 1939 and has been a popular seller ever since its publication. He reminds his readers that artists follow their own paths in life, and may not always fit the mold of parents, teachers and interested others. Louie is just such an artist. He is not great at school work, as he is much more interested in filling the margins with his drawings. He is asked to leave schools where he shows little academic success. When he goes to work for his relatives in a hotel, he finds a home where his talent is appreciated and fostered. Eventually, after many little blips in the road, he is discovered by an editor who encourages his art and his talent for storytelling. Using the tales told by his mother who lived in boarding schools and had had many adventures, he fashioned a character who was as feisty as some of the children his mother had described, placed her in a school where girls 'walked in two straight lines', and voila...a story for the ages. 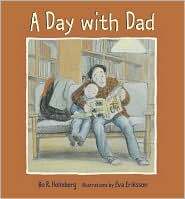 It reads like the best in picture book biographies and is most entertaining, while honoring an artist's life work. Will Hillenbrand understands the drive to create, using mixed media to show a young and talented pig at his best. The pages are filled the details of Louie's life as he lives it, adding depth to the story being told. This is a great book to share when you want to discuss being independent and assured while following your own path, letting your bliss take you where you want to be. 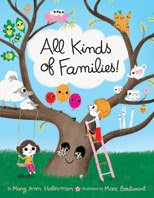 You can make families from all sorts of things!" It seems like the perfect time to be talking about families, doesn't it? No matter how big or small, families are to be celebrated. So, if you are sharing Christmas dinner tomorrow with two or two hundred, enjoy the time spent together and the love you feel. Mary Ann Hoberman is a master of poetic language and she causes her readers to think 'outside the box' and consider what is not often commonplace. Her rollicking rhymes will have fans dancing in their seats, and eager to join in the fun. A repeating refrain will soon echo throughout the room. The lively, colorful artwork adds to the pleasure of reading this book together. The artist must have found great joy in creating illustrations to match the imaginative premise for this book. The expressive faces, the endless detail on every page encourages readers to look and then look again...the perfect compliment for an artist. Once you start thinking and seeing through this accomplished poet's mind and eyes, you will find yourself off on a journey into language and family, never content to confine your ideas to what has always been so evident and usual. "Hush! The hour is late. As each new person speaks, readers are privy to the Christmas Story from a number of perspectives. The voices are clear, convincing and in keeping with the Bible's story of Jesus' birth. In double-page spreads meant to highlight one character of the nativity story, the author and illustrator use a Bible verse about that person and a detailed painting in oil of the one speaking. They manage to capture the mood, the character, and the personality of each. We meet Mary who wonders at the news she has received and believes it may be a dream. Then Joseph who mourns the forthcoming loss of his love Mary who now carries another's child, until a dream reassures him of Mary's place in the incredible story. Then Elizabeth, Zechariah, a neighbor, the innkeeper, the shepherd, Gaspar, Herod, Melchior, Simeon, Anna, Balthasar, and finally a poem for the reader! A lovely book, accompanied by a CD with the story read by Nikki Grimes and Craig Northcutt and original music from Keith Ward. A fitting book for a Christmas collection. This is a plot that my own kids better recognize immediately. I am sure I read it 2000 times when they were young. If you haven't read Goodnight Moon, you are missing a real treat...and you would not know the answer to this rhyming riddle. 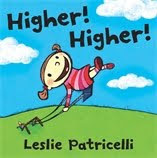 What a fun read this is for parents and children, teachers and students...anyone who loves reading. J Patrick Lewis is an accomplished and prolific writer of verse, and much more! Two young detectives, their trusty dog companion and many visual clues will have you searching your collective reading history to find the answers to the thirteen riddles shared here. I only wish there had been thirteen more! Full of fun, remarkable word choice and a variety of literature, you will ponder the pages and the puns to help you make your best guess. 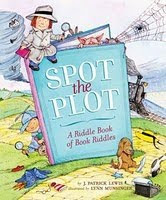 If you want to follow up on some other poetry designed with such fun in mind, check out the GottaBook Blog and search for Oddaptations...very funny, and a perfect model for getting older kids to try their hand at some of their own riddles about some of their favorite books. "Sometimes a red fox came to drink from the stream. Sometimes deer came through the meadow to nibble crab apples left on the tree by the barn. Crows clattered overhead. But most days White Cow stood alone in the big meadow." This is such a gentle loving story to share at this time of year. It takes little time to read it; but the impact of its message of unconditional love and giving in the true spirit of Christmas will remain with those who share it. Lily and Liam love spending Christmas holidays with their grandparents. They love the farm, the visits to the village, the yearly tradition of spending time alone before their parents arrive for Christmas Day. They love the animals, too. This year they notice that there is only one animal in the yard...a White Cow, and she seems lonely to Liam. He thinks she is missing the donkey who was her companion at one time. Liam has come with his sock full of money for buying this year's presents. Seeing White Cow all alone gets him to thinking and his sister to worrying about his thinking. Liam is determined to find someone to keep the cow company and he is willing to spend all his money on that purchase. When he doesn't have enough, he puts up posters asking for help in buying a friend for White Cow. He meets with success and the family is content that White Cow will now be happy for Christmas. Imagine their surprise when they hear a commotion outside and discover just how many friends and neighbors are feeling the true spirit of the season! "You may need to learn to bite your tongue. Is that what women - "ladies" - are supposed to do? Bite off little pieces of themselves, our very thougths? Chew on them until they don't seem so worthwhile - and then what? Swallow them? Or spit them out and crush them underfoot, until we can be absolutely sure no one will know they ever crossed our minds!" Oh my word! There is so much to tell you about this fine book. Muriel is 17 and has always been determined, lively, and full of questions about the workings of the world and society. Her brother Ollie is younger, helping on the farm and feeling guilty that his best friend has signed up to fight in WWI. Emma is Muriel's best friend and nearest neighbor and sweet on Ollie. Frank is Emma's older brother and has enlisted and been shipped to France. The three voices are remarkable in the telling...Muriel, Emma and Ollie...each with different life goals and wishes for the future. The families are close, and live across the creek from each other. The 'crossing stones' provide a path from house to house across that creek, and so much more. Muriel is passionate, strong-willed and quite sure she will not marry, following in her Aunt Vera's footsteps. Emma wants to stay on the farm and be a farm wife like her mother. Ollie is determined not to be left behind, lies about his age and is also shipped off to fight in France. The time frame is nine months in 1917 and 1918. The events are heartbreaking, life-altering and life-affirming for each of the tellers. Through their eyes we see the horrors of war, of families torn apart, of the casualties that are the result of the war on foreign soil. Helen Frost handles countless issues with a sure hand, and we are never overwhelmed by them. We share the heartbreak, the suffering, the determination felt by characters we come to know and love. In an author's note, Helen Frost explains the formal structure she has chosen for each voice, that moves us from stone to stone as the story plays out. It is, indeed, 'painting with words'. Another book for my 'save to savor' shelf and I will surely read it again. I may lend it to my friends, but I will keep track of where it is at all times. Bravo! "'Yes!' she said. 'When we're on stage, we can be anywhere. We can see what happens next when we don't run from monsters. And if we say yes, we can take ugly or stupid and turn it into a new picture together.'" The setting is an air force base in South Carolina, in a sixth grade school classroom where the students are meeting a teacher unlike any teacher they have ever encountered. As she calls roll on the first day Miss Loupe is on her hands and knees plotting a space with masking tape and calling it a Taped Space. Within that space you can be anything you want to be, anywhere you want to be, and doing whatever your imagination allows. Miss Loupe is interested in her students, their knowledge of the world, in teaching them to trust her and each other through the use of improvisational theatre. The students are astounded, then intrigued and finally inspired by their fascinating, lively, intuitive teacher. What a place to learn! Miss Loupe persuades her students to say yes, to any and all chances within the Taped Space. There is much that they share. They have all moved many times, as Miss Loupe has. They have fears when their loved ones are deployed to war and face armed combat (Miss Loupe has a brother away at war). They wonder where they might be next year. (Miss Loupe is a first year teacher, trying to find a place for herself in her alma mater). They all have insecurities, concerns, and questions about the future. With her encouragement, her students make progress at saying yes. But, when her brother is wounded and missing, Miss Loupe cannot rouse herself to remain positive and upbeat. Her students take it upon themselves to make a difference. With much planning and great support, they launch Operation Yes. "Well, the baby bump grew. And a little worry started to grow in Emily's mind. And the bigger the baby bump grew, the bigger Emily's worry grew." When the worry got so big that Emily couldn't contain it any longer, she made a list...which was her way of keeping things in perspective. She mentions to her Dad that she has made a list and he is delighted. She's not sure he should be. Her list is shared and it tells all the good things about a baby, but there is another part. It lists all the things that babies do...dribble, spit up, cry, cry. cry! That is not all that is worrying Emily...she knows that when the baby comes there will be little time and attention paid to the big sister. It will be baby this, baby that, baby blah blah blah. Of course her parents reassure her and regale her with all the much loved stories of life since Emily's arrival. They will always love her, and hug her and make time for her. But, they have a little surprise! This is such a wonderful readaloud. Emily's voice is so authentic and humorous and young listeners with babies in the house will understand every syllable she speaks and each concern she shares. What fun it is! 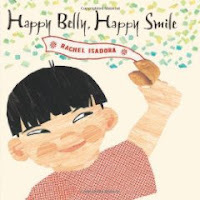 The illustrations are detailed, childlike and will encourage much attention and talk. Be on the lookout for the hamster who tries to steal the show! "This book is about creatures - both large and small - whose dangerous nature may not be so obvious. Their teeth, claws, spines and venoms can be deadly to an unsuspecting or careless human. What makes these animals dangerous? And what should you never do if you encounter one of them?" Now, if that isn't an invitation to check out this book, I don't what would be? Kids are fascinated by animals of all types and they love to learn about those that are familiar and not so familiar. In this book they will meet seventeen creatures and learn one important thing about each one. For instance, did you know that you should NEVER stare at a spitting cobra? Now, why would anyone want to do that? In reality, a cobra 'can spit its venom accurately for more than two and a half metres'. And it aims for the eyes, causing pain and blindness. YIKES! Steve Jenkins asks questions that few people ask...and then he searches for the answers to those questions, or he comes upon some unusual fact while doing his research and that sets his course for the next book he will write. Always intriguing and so informative, I love to read each new book. He has a great website, too. Check him out on the web. Add to all the information he gleans through his curious nature, he is an accomplished artist, whose paper collages are full of detail and color. Each of his brilliant animals is accompanied by the admonition and a full paragraph, explaining why he hopes that you will take his advice. Take mine, and check out this book! "Before our school was built, we had lessons outside. We wrote with sticks, on the ground. That was before a stranger stumbled into our village. He was cold, hungry, and sick. We gave him tea and food and a bed near the fire." 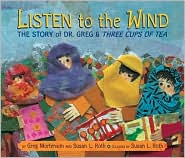 This is the children's version of the NY Times bestseller, Three Cups of Tea. It tells the story of that young man who came to a village in Pakistan, and of his first building project in that country. When he lost his way during a mountain climbing expedition he was welcomed, cared for and then discovered illness among the villagers, which he could help heal. He learned much more as he listened to the sounds in the wind, and realized that a school for the village children would make a difference for all. Thus, his path was set. It takes determination and dedication to make such a difference and Greg Mortenson was certainly up to the challenge. He worked tirelessly with the Pakistanis to ensure that his dream of a better future came to fruition. The collages are inspiring and intricate. They help the children tell a powerful story of what one person can do when faced with challenges, and they honor the beautiful setting and the wonderful people of the village. An artist's note provides engaging anecdotes that led to the accompanying artwork. A Korphe Scrapbook shows actual pictures and captions of the events that led to the school's opening in 1996. As I said this was the first and, since then fifty-seven other schools have been built in Pakistan and Afghanistan, and attendance tops twenty-four thousand children. Some accomplishment from a man who was helped and wanted to return the favor. Bravo! 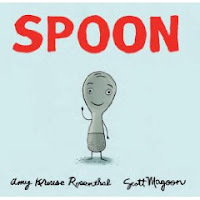 "At bedtime, Spoon likes to hear the story about his adventurous great-grandmother who fell in love with a dish and ran off to a distant land." Spoon comes from a long line of utensils. He and his family share much happiness and many adventures. As often happens, Spoon becomes enamored of being like someone else rather than just himself. He envies knife who can cut and spread. Additionally, fork can go most anywhere...swirling spaghetti, diving into the mooshy softness of a cake, even fighting the fire on the grill. Chopsticks...well, they are always together. Spoon knows that others have some of those same feelings about him. After all, he's fun, he measures, he's OK on his own...the list goes on. But, spoon feels morose and needs Mom to remind him of the many things he would miss were he not a spoon, including the ability to snuggle when the opportunity presents itself. Good night! This small treasure is such a perfect book to share with young children; but especially with those who are just learning to read. Laura Seeger has created one of her trademark books that encourage discovery of language and delight in the way that it works. 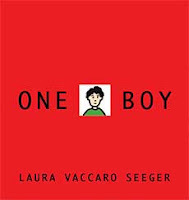 She begins with one boy, and as the page is flipped, reader and listener discover the cutout feature reveals words which include a word from the previous entry. If you look closely as the quotation above, you will see what I mean. The colors are bright, the images familiar and the interactive nature of the text is just right for getting kids excited about learning to read, and recognizing that we often find familiar words within new ones. The added bonus is that she has made it a 1-10 counting book. Brilliantly engineered and an exceptional addition to her growing list of books that I so admire, this lively book provides surefire entertainment and learning for its fans. If you haven't seen other books by this wise author, ask at your school or public library...or check with your local children's bookstore to see what they have in stock. You will not be disappointed...I guarantee it. "It's fall time now, the season of moose, and I've got lots to learn. The school is closed for the next two weeks for our Cultural Days. Come and learn with me as I take you on a tour of our town and introduce you to some of the experts in my community." 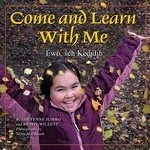 With bright smile and dancing eyes, Sheyenne takes on the role of leader and learner in order to show us life in her small town of Trout Lake in the Northwest Territories. There is much to learn! We meet her family, her elders, her extended family and learn about many of the daily activities and tasks that the community must undertake to ensure a good life over the winter. It's easy for Sheyenne to lead us, as the town is small and she is acquainted with everyone. She takes great joy in showing us what her daily life entails. The photos that accompany Sheyenne's tour are clear and helpful. The captions are informative and accessible for interested readers. Stories from her culture are shared. The teaching and learning that permeates the text helps the reader understand the life that the Dene people live in these modern times. She has much to share with us. Following that, there is a double page spread that includes details concerning some of the language presented and the Dene Laws, alongside a description for making a paper berry basket...then we will be able to go and gather some of our own cranberries which are abundant outside Sheyenne's back door. MMMM!!! This is the fourth book in a series called The Land is Our Storybook. Each would be a welcome addition to a school or classroom library where honoring other cultures is a goal. 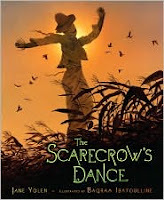 He gave a leap -"
When the scarecrow decides to escape his post and dance in the fields one autumn evening he has no idea what is in store for him. The wind is blowing madly and tears at his clothing, inciting him to abandon his place amongst the corn and DANCE! As he frolics, he crosses the cornfield, passes the tractor and the barn and finally arrives in the warm glow of the family abode. Peeking in a bedroom window he spies a small boy at prayer, asking for blessings for the animals, the equipment needed to reap the rewards of the summer's hard work and for the scarecrow, who protects their valuable crop. It gives him pause and helps him realize his true place in the life of the farm and its family. Back he dances with new purpose in mind. Jane Yolen is an award-winning and prolific author who never ceases to amaze with her words and her stories. Children need to hear the language and the rhythm of that language as this beautiful story is shared. I have been a fan for many years, and am in awe of the scope of her writing. This is a book that I will share again and again, not only as fall sneaks up on us but at anytime that I want to read a story filled with the wonder of her words. "Earl's tail wags when he's eating (FWIP FWIP FWIP) or playing ball (FWIP FWIP FWIP) or just sitting in a field of flowers (FWIP FWIP FWIP). But what makes Earl's tail wag?" 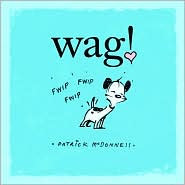 Patrick McDonnell has been writing and drawing about dogs and cats for fifteen years in his comic strip called MUTTS. Much of his inspiration is drawn from a dog who cared for him and loved him for nineteen very happy years. In this story about his dog Earl he intrigues his young readers with the many times that Earl's tail wags. It doesn't seem to matter what is happening; Earl is full of life and endless joy. But, why? Mooch is quite sure he knows. But each time he holds up (of flaps) his arm to respond to the question, he quickly draws back with shyness and uncertainty. Finally after some time and much thought, Mooch seems to have the answer...could it be that simple? Is it love? Can love be the answer? The boundless energy of Earl is endearingly shared with his audience and the author's great love for his dog (and pets in general) is evident in each inky line drawn for this entertaining story. What a pleasure to share the FWIP FWIP FWIPs with youngsters as the book is read! Or, they can provide the onomatopoeia of the wagging tail with each new instance that causes Earl to show how he truly feels about the world that surrounds him. There is a YouTube video from Little Brown that will allow children to listen in on Patrick McDonnell's reason for writing his newest book. It might lead you to look for the others mentioned. While we are the roll with nursery rhymes, I want to share this new book from Colin McNaughton whose many books have entertained children uproariously. In this one, he uses an old nursery song, with many new verses, to help a young boy celebrate the excitement of his birthday. As he opens the door to each new visitor, we are reminded of familiar characters and stories of old. First three cats, then the man in the moon, then three little pigs and their very interested and attentive wolf arrive. You get the picture. Each new guest has a gift in hand and a knockdown to provide as they brush past the boy on their way to somewhere! And each time he hauls himself back up again to answer the door and to be knocked down all over again. Eventually his living room looks like a cyclone hit it and the final guests arrive. They have class and manners, and they are welcomed. The knocking stops, a glass is tapped and the celebration and singing are at hand. What joy to party with so many friends and to be the object of their full attention. But, when they are gone...there is nothing to do but catch up on much needed rest. Ahhh!!! The final frame shows three disappointed guests...too late to appreciate all that fun, and disappointed they are. That's what anyone would call a short story, right? If you like them short, you are in for a real treat with this funny book. There are thirteen of them, and the art-filled pages are a needed accessory to the success of the storytelling. 'funner' way to introduce little ones to the rhythms of our language and to give them the underlying sense of story they will need to help them become capable literacy learners? 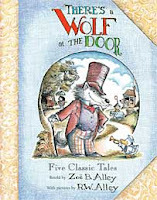 This book reads like a nursery rhyme and children will find much to keep them interested as they pore over the pages, watching each short story unfold in three or four rhyming words. The illustrations almost dance off the page as we wander from story to story, and it won't be long until even the youngest is telling the tale to anyone who will listen. Along the way, their vocabulary grows and the fun factor is enhanced. 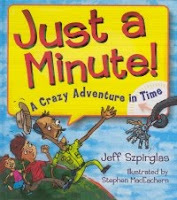 I think it would be fun to share with older readers as a mentor text for their own writing and illustrating. They would have a great time trying to come up with a story that could be told with such brevity, while still making their point. Try it and see what you think. And you, you're so bad. And you, you're the worst." A-One rules the toys, and his reign begins as soon as the mother and child are out the door in the morning. He bosses the other toys to do his bidding, then criticizes them for trying to help him. He further makes fun of their clothing, and ends up taking each piece that doesn't find favor with him. As the toys begin to notice how silly they must look doing whatever they tell him, and how silly he looks dressed in their clothes, they whisper together and laugh at their own antics. A-One tries to remain harsh and critical but the others temper his power with their laughter and make him realize that what he really wants is to be 'one of the gang', not alone and in charge. Bob Graham's artwork adds a parallel story that has no counterpart in the text. It begins on the front endpaper and finishes on the last, as the young girl and her mother return home, the toys return to their previous disarray and the dog welcomes his mistress home with a heartfelt gift. Young astute listeners will not miss that story as it plays itself out alongside the written text. What fun and what a gentle way to get a discussion going about 'bossiness' and how it makes others feel. "When it was nearly Tallulah's birthday, her parents asked her what she would like for a present. "I want a pink fluffy rabbit," said Tallulah." Pink fluffy rabbits should be easy to come by, wouldn't you think? Not so, it seems. There are grey rabbits, and brown rabbits, plnk elephants, and even a pink pelican. But, her parents just can't seem to get the combination right. Grandma to the rescue...she will knit a pink fluffy rabbit...which ends up looking not so much like a rabbit. Instead, when she opens her birthday box, Tallulah finds Milo Armadillo. She doesn't want to hurt her grandmother's feelings, so she professes to love Milo and seems content to spend her time with her new stuffed toy. They play together and share music, adventures and stories but a pink fluffy rabbit Milo is not. Her friends remark on Milo's differences and Milo hears what they are saying. Loving Tallulah and wanting her to be happy causes Milo to make a decision that will change his life. That decision also changes Tallulah's life...for the worse. After making quite a surprising discovery, Tallulah returns home happy. I always look forward to Jan Fearnley's new books. She has a way of taking the ordinary and making it quite extraordinary. 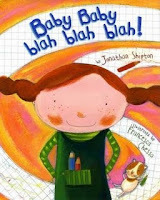 Children love her stories and respond to their subtle messages with quiet perception. Her illustrations for this book are detailed and done in mixed media, which give texture to the story in more than one way. I loved the knit pieces and the the use of fabric. They give the story a homey, soft feeling and are just right for this gentle, easy story of close friendship. In her first novel, 23 year old British writer Sally Nicholls swings for the stands and scores a grand slam! In first person narrative she shares Sam's voice, filled with a multitude of interests, countless questions and a way with words that is quite impressive. She must have known the difficulty of the task she set for herself; and yet, she writes with the quiet assurance of a seasoned storyteller. According to Sam there are many questions about death and dying that no one is willing to answer. And Sam needs answers. He has leukemia and he has only a few months to live. Oh, and Sam is 11. He is not obsessed with death, he just wants answers because he knows he is dying. Lest you think that this might not be a book you want to read, I hope you will take my advice and give it a chance. It takes the form of a diary/journal as he shares all that he is thinking and includes drawings, tickets, lists and many facts. List 3 takes the story to a new level...giving Sam's take on the things that he still wants to do. They range from the likely, to the unlikely, to the not going to happen. It is important to know that all of his wishes do come true, and as a reader you will want to know how that works. While Sam is an seemingly normal boy, he is transformed by his diagnosis and his final months are a worthy achievement. While I will admit to tear-stained clothing and salty spots on my spectacles, I loved this book and it has found a place on my 'favorite novels' shelf...books I am willing to share, but not to let go. It is polished, smart, moving, and often humorous. It is never overemotional, while always honoring life and the ending is faultless. This is a book for the brave, but it is quite an amazing read. John Ibbitson is a deft writer and he here proves that to be true. In this historically accurate portrait of the times in which it is written he creates memorable characters, human and not so. It is Ben's story. He is 15, finished school and working a hard life to provide food and sustenance for the family. That family is his mother and his Uncle Henry who has taken them in following Ben's father's death. The family farm, during the Depression, offered little in the way of a living so Ben and Henry operate Cook's Landing which provides gasoline and groceries for people of the area and those who spend their summers on Lake Muskoka. In Ibbitson's sure hands we can feel the pulse of both Cook's Landing and the Lake. Each has an important part to play in Ben's summer. A rich woman from New York buys a cottage and needs help bringing it back to its original glory. Her offer of a daily salary cannot be refused so Ben spends much of his summer on the island refurbishing it. While there, he learns about the world beyond his own, plays the violin for Ruth and her guests and yearns for a better life. Just when it seems that things are going to change for the better, his world is turned upside down and he wonders if he will ever be able to leave the landing. His characters are so well drawn and his descriptions so crucial to the impact of the story. 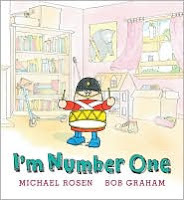 He is well deserving of the honor bestowed when John Ibbitson was awarded the 2008 Governor General's prize in Children's Literature for this fine book. It is a story that would especially intrigue boys aged 12 and up who are wondering where their lives might lead them. It has both humor and suspense, anger and love...and so much more! It is always interesting for children to read stories about other children of the world. It expands our focus and lets us live in another's shoes for one small space in time. Zulviya is an eight-year-Afghani girl who works long hours each day at the loom, between her cousin and her older sister. They continue the tradition of rug weaving that their mothers and grandmothers have also followed. Their days are long and tedious as they follow handed-down patterns. Zulviya is gaining competence with her weaving but has the ability to dream a new pattern while working on the old. She uses the beauty of the colors that surround her as she dreams a new pattern for the rugs being woven. It is in her imagination she is able to escape the drudgery of the long workday, and the endless sameness. She sees beauty in the colors of her world, from the remarkable greens of the trees and foliage to the deep brown of the walnuts used to make the dyes. The illustrations use the bold, deep colors of the rug designs while also providing the beauty of the surroundings and of the children who work so hard, with no chance to go to school (a word they have only heard). This story brings to the forefront the plight of many children around the world who labor to provide wares for consumers far away. It hopefully will cause us to pause and think about them and, while doing so think about the part we play in such exploitation of youth. Perhaps it will remind us of the goodness in our own lives. In an afterword, the author talks about the world market for the rugs these children are making and our responsibility to help alleviate child labor in the world. It starts with one person, doesn't it? When the third graders at Pleasant Valley Elementary School learn that their inner-city school is scheduled for demolition, they are concerned and have much to say. Their teacher, Miss D, is the one who gives them the confidence they will need to move on and find comfort in their new school. The five distinct voices of the students give us a glimpse at their final year and the events that make it special. They are busy at home and at school, each with their own trials and dreams. At school they take roles in a play, make field trip visits, do science experiments and learn about the Civil War and civil rights. When they are kicked out of a theatre through no fault of their own, they have the confidence and skills to send a letter to the theatre manager offering their point of view and asking a pertinent question about his reasoning for the ejection. Bravo! It is not often that a novel in verse is written for a young audience. The five clear and youthful voices offer snapshots of the lives that these children live, and in succinct, heartfelt text. I think that writing poetry must be one of the most difficult ways to tell a story, while also being the most wonderful way to do it. The word choice needs to be almost perfect in order to give details, to give heart to the characters and to tell that story in the most concise way. In Andrea Chang's adept hands, this story is perfect. Neil Gaiman says that this amazing novel is a book he wanted to read when he was eight. He started writing it when his son was 2 years old in 1987, and did not feel himself a good enough writer to finish it. So, he put it away and left it for 9 years or so and still wasn't good enough to complete the story. A couple of years ago he decided he wasn't going to get any better and he should get it done. Lucky are we that he did! It began in a graveyard where he took his toddler to ride his bike, there being no yard where they lived. As they looked at gravestones and wandered the area, he thought there must be a story in it. Only in a brilliant mind would that be true. The Graveyard Book won the 2009 Newbery Award and the Hugo Award, and those are honors well-deserved. It begins in terror as we travel through a house with a man named Jack, who has killed all members of the family, but the toddler who has left through the open door and is headed toward the nearby graveyard. It is the graveyard's inhabitants who save him from Jack's blade and decide to raise him. Thus, Bod finds a new and safe home and a loving family to replace the one he lost. Bod is an ordinary boy, but for these circumstances. He grows up with love, good counsel, and a growing awareness of the world beyond the graveyard. He is intelligent, compassionate and loving. But, he realizes that the world out there beyond his narrow world is fraught with danger...Jack still has his knife and a need to kill Bod. It has been described as exciting, and witty, sinister and tender. It is all that! The tale is told in a series of short stories, as Bod ages from the toddler who finds refuge with the ghosts to the age of about 16. I hope that means we will meet again. I would be delighted! It has found its place on my 'read it again!' shelf and it won't be long until I do just that! A snowy night, the fireplace, a big pot of tea and THE GRAVEYARD BOOK...does it get better than that? "The receiver made a wide U-turn and, grinning triumphantly, jogged up to Marcus. He was looking at a middle-aged man, probably around fifty years old. He was tall and built like a redwood. But the guy ran like a gazelle and had caught the ball with sure hands, tucking it in tight as he ran. He had definitely played this game before." When Marcus moves from Kansas to upstate New York, he is nervous. Last year he was the star quarterback on his JV team; this year he is hoping that he will find a spot on his new school's team. During what is left of summer vacation, he finds a deserted park where he can practice throwing the ball and work on his growing skills. There he meets Charlie, an amazing athlete and someone who seems to know a great deal about football. Marcus is impressed and his skills improve exponentially under Charlie's tutelage, but he notices that Charlie is not too dependable. He is also headstrong and able to talk Marcus into mischief for which Charlie takes no resonsibility. Charlie's son is also on the football team...the star quarterback, in fact. As the story moves forward, a collection of events has Marcus wondering why Charlie's family is so protective and private and why everyone in town is so accepting of Charlie and his antics. It is not long until Marcus realizes who Charlie really is and surmises that Charlie has early onset Alzhiemer's; its cause seems to be repeated head injuries, attributed the hits and plays of his football years. The story is well told, and has so much more to it than just a football story. Gordon Korman makes us consider the implication of sports injuries, their aftermath and the heartbreaking results for so many. Brain injury is real, and often irreparable. While reading this fast-paced, honest book, I found myself thinking about those people who deal on a daily basis with brain injuries and especially about Charlie, who has lost so much and his daily struggles. What a memorable and informative story this was for me! 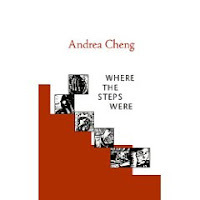 I started out to skim its pages to get an idea about the plight of the home children who came to Canada in the late nineteenth and early twentieth century. It was a missing piece of Canadian history for me, and through the fine writing and personal touches constantly evident, I am now much better informed about the children who were sent to Canada. Charlie came from a large happy family whose circumstances changed drastically upon the death of his father, and the subsequent separation of children from mother, and children from children. 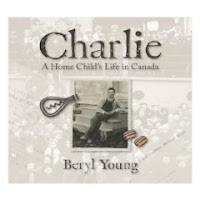 Being one of the older ones Charlie was sent to a Barnardo home for orphans and, after a brief stay, was sent to Canada as a farm laborer. There were conditions on the labor and schooling but many placements were not honored as promised. Charlie started in a terrible place and finally moved to a loving family who showed compassion and real love for him. From there he enlisted in the army, fought for his country in the Second World War and came back to join the RCMP. He served well and made many advancements, becoming an integral part of the history of his adopted nation. His daughter tells his story with love and reverance, and informs both children and many adults of the lives they lived and the part these children played...there are nearly four million of their descendents still living in Canada today. Beryl Young includes sepia photographs and well-documented historical references in her text, and we are better for knowing her father's story. My friend Don was very excited to see a copy of this book! He heard Michael Morpurgo speak earlier this fall and has so much to share about the wonderful writer that he is, and the truly fine person as well. Don has always loved his writing, but now has even more praises to sing about the former Children's Laureate of Britain. In this collection which is subtitled, A Story-Maker's Journey, the author shares short stories, essays, and commentaries on his writing life. He talks about all aspects of writing with his audience and even reveals what his inspiration was for the tales included. He shares the 'hows' of his writing life and then includes many of his favorite tales. They are set throughout Europe, from Provence to Venice and to Morpurgo's hometown. What a literary journey it truly is! Enjoy! Tom slaps his foot against the surface of the pond. I want to share this summer story now...to warm your heart in the midst of all the cold, ice and snow that we are experiencing throughout Canada in the depths of December. You can feel the steamy, sultry heat of a midwest summer in Shutta Crum's perfect word choice for her newest book about a storm that wreaks havoc on this endearing farm family. It begins in fun, with Mom and the kids lolling by the riverbank, enjoying their toe dipping. When a storm blows up, the world changes and so does their day. As the wind howls and the thunder rolls, they run for the house and cover. Laundry is removed, or blown, from the clothesline. Vehicles are moved to shelter. Even the chickens are brought inside. The skies darken, the winds remain wild and there is incredible noise. At first Maizey, the chicken, seems happy to be inside but she soon becomes very restless and wants her release. 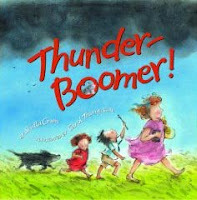 When sharing stories with children, they love the word 'onomatopoeia' and will relish in all the sounds as the family 'swishes' and 'plops' and then the dramatic noise of the storm. Watercolor washes are the perfect medium for this most enjoyable story. They evoke the power of the storm, the heat and all the fun as the experience is shared. The color change is incredibly dramatic as the story moves from the warmth of the day to the blackening skies and temperature change that the rain brings. There is an parallel story to follow and kids will love watching it play out, as well as the excitement of the summer storm. To our surprise, this part of the story brings a wonderful gift. What great fun! As an added bonus, Shutta Crum suggests checking a YouTube video called African Thunderstorm, performed by an acapella group called Perpetuum Jazzile from Slovenia. I was lucky enough to be watching one of the morning news shows not too long ago when Sharon Robinson was being interviewed about a new book she had written about her father. I found myself intrigued by her story, a true story from her childhood and about a baseball hero...Jackie Robinson. When Jackie retires, he moves the family to a new and peaceful place where his children can run and play, and enjoy the lake that is the focal point of their new property. As the children romp in the water, their father never does. No one seems to notice! When winter winds and cold cover the lake with ice the children beg to skate on it. Ever the protective father, Jackie will allow no skating until he has tested the ice. He starts tapping it with a stick, and what a noise erupts when he does that. Finally, he makes it to the middle of the ice and declares it safe for his children. It is while she is watching her beloved father walk out on the ice that Sharon makes the connection that she has never seen her father in the water, and the discovery that he cannot swim. But that fear does not keep him from protecting his family. 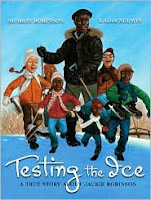 This, of course, is not the only 'ice testing' that Jackie Robinson did. He was the first African American to play in major league baseball, and the man attributed with breaking the color barrier in 1947 with the Los Angeles Dodgers. We all know the rest of that story! Kadir Nelson used family photographs to inspire his amazing artwork for this picture book biography. They are so real to their time, and to the Robinson family. It must be such a special blessing to have them be part of this heartfelt and personal story. Anyone who has ever met Grandma Dowdel will never forget her! In the third book about this spunky old woman we, once again, enjoy the storytelling brilliance of Richard Peck. He regales us with the trials and tribulations of Bob Barnhart and his family. They are new to their midwest town and struggling to find acceptance. His father is the new preacher in a church with few parishoners, and Bob becomes the target of the town bullies. Grandma Dowdel is their rough and tough nearest neighbor, with a kind heart that few people see. She is not about to let town 'vagrants' harm this new family. Times gone by have never been so much fun! I laughed out loud through much of the reading and will be using this book in upcoming book talks and workshops. I have earmarked many passages to be read again. The Christmas part of the book does not take place until near the end; but, in the true spirit of the season the gifts are given from the time the family arrives and most come through the kind and generous heart of Grandma Dowdel. If you want to share a real 'gift' of the season, look for this book. It may then lead you to the other wonderful story collections by the prolific and very talented Richard Peck. You are sure to become an ardent fan! ""I could get us a tree, Nan." "Go on. Sure, you're not much bigger than an ax, let alone able to swing one." "Not so, Nan. I am after gettin' big and strong and smart and well coordinated. You just wouldn't believe how big and strong and smart and well coordinated I am after gettin'." "Don't worry your little head, Bella. Someone'll bring us a tree." After some pleading and convincing with her Nan, Bella sets out to find a Christmas tree that she can be proud to show her beloved grandmother. Little does Bella know that she will make three unsucccessful attempts before finding the tree that her Nan describes. Not wanting to be deemed 'frivolous', Nan insists that each tree...first an alder, then a spruce and finally a pine...be decorated so as not to waste them. Each time a new one arrives, Nan sings a tree-identifier song that might help her 'nature-impaired' granddaughter the next time she is sent to find a Christmas tree. When Bella finally finds the perfect fir, there is nothing left to decorate it. It is left in the darkness, obscure amongst the other beautiful trees. While cutting the trees down, Bella has made promises to the birds whose home she was taking. Imagine the surprise on Christmas morning when the promises must be kept! The final illustration glows with the spirit and peace of the holiday season. I love the language in this story and its message about the connection between children and their elders. Nan has much to teach her granddaughter and Bella is willing to learn. It has a simple plot, repetitive text and a collection of songs that will be fun to learn. Jirina Marton won the Governor General's Literary Award for illustration in English text. And she is so deserving of this special recognition for her work...she has created a world of wintry stillness both inside and out. It is such fun to watch Nan's house fill with the splendor of the season, and the final page is such a sweet surprise. This is a fine book to be shared at Christmas and for the rest of the year, too. Perhaps it will encourage listeners to share stories about their family and grandparents' teachings. In the relatively short span of twenty-four hours, much can happen...and it does! A light snowstorm cancels school early in the morning and shortly thereafter, the roads clear and Mia and her family decide to take a drive. What then happens is out of a horror movie. Her family is involved in a horrendous car crash, that leaves Mia the only survivor. As the remaining relatives gather round to support her, we watch (from Mia's perspective) what is happening and learn about her life. We also come to realize that she is having an out-of-body experience and trying to make her own decision about whether she should stay, or go...to be with her family. In listening to her struggle to make that decision, we learn much about her life...that she is a cellist who has a scholarship to Juilliard. Her boyfriend, Adam, is in an up-and-coming band who will have to start travelling now that they are making a move in the music industry. Together, they are dealing with tension about the changes they see ahead of them and wondering how it will affect their relationship. As we watch her family and friends root for her, and offer their love and support, we cannot help but feel the same way. I have no idea how both Love, Aubrey and if I stay reached the top of my reading pile at the same time, but I can tell you that I spent much of my reading time drying my tears as I got to know two amazing young women faced with the most unbelievable circumstances. What powerful and memorable stories they share! When Aubrey's father and little sister are killed in a car accident, she and her mother must find a new way of living their life together, but alone. As they struggle, her mother slips into a deep depression and is unable to take care of herself, much less her daughter. One day she simply disappears and Aubrey fends for herself...until her grandmother makes the discovery and comes to rescue her and take her to Vermont. In the skilled hands of her loving, stable grandmother and a new friend, Bridget, who love and support her and, with her own willingness to write letters to the important people in her life to help her voice her sorrow and confusion, Aubrey begins to find her way through the abyss. She learns to smile again, to laugh and to find some peace in her world. She also finds out where her mother has gone, and that she is in treatment to help her deal with her problems. In the end, Aubrey must make a momentous decision about how her life will go from here, and she shows great courage as she does just that. The story is heartbreaking and hopeful...but it wreaked havoc on my tear ducts and my emotions. I cried myself through some of the more poignant moments, and wondered how a mother could ever leave her 11 year old daughter on her own. That also made me aware of the huge price that one pays when dealing with mental health issues, gone untreated. Aubrey's mother needed help, as much as Aubrey did. Luckily, they both found what they needed to help the healing really begin. 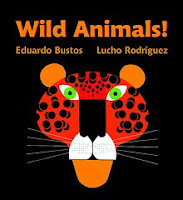 Wild Animals, written by Eduardo Bustos and illustrated by Lucho Rodriguez. "Koala: My home is in Australia. My fur is soft and my ways are gentle. I carry my babies on my back as we feast on the leaves of the eucalyptus tree. Just like hands, my fingers grip the branches to keep me safe." "Spotted Owl: My enormous eyes rest during the day, but at night, I'm perched up in a tree, scanning the ground beneath me. You'll find me in North America, but don't try to creep up behind me because I will see you. My head can turn almost all the way around." In the best picture books the words and artwork each add a dimension that alone would not have the same effect. This is such a book! The author describes 11 wild animals of the world in a riddle-like form, using each animal's voice to intrigue and have readers make guesses as to its name. Each is set on a double page spread with minimal text and eye-catching, brilliant-hued illustrations. The author makes note of habitat, place of origin, and special unique attributes. The illustrator shows the animal in profile and in full close-up. They are very striking, while almost geometric in design. If you have, or know, a little one who loves animal books, you would not be remiss in putting this one under the Christmas tree, or in a stocking. "My name is Lulu. This is Mama and Papa, the best mama and papa in the world. And this, of course, is Lili-Poo, my one and only ladybug." Simple text, expressive illustrations and a story meant to validate the need for a young child to have a say in clothing choice...this is a story that will be read repeatedly at bedtime for its reassuring and relevant issues. 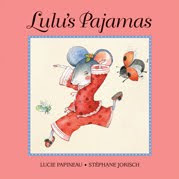 Mama is always willing to share a story and Papa sings a goodnight song, as Lulu snuggles up with Lili-Poo and her favorite pajamas. When Lulu decides that she cannot bear to take them off in the morning, her parents are aghast. But Lulu wins out and off she goes to school in her pjs. A long day and lots of play leave her attire a little worse for wear and not smelling as they once did. In fact, they are quite crusty and delapidated by the end of it. Ah, well! Lulu's happy...her sure voice rings true to the telling and Stephane Jorisch adds another set of just right illustrations to bring this determined daughter to life. Due to an OVERWHELMING amount of fan mail, I, Chester, am back with an amazing, brilliant, SMART, SUPER new book! C."
Oh boy, Chester's back with a vengeance and we are the definitely delighted viewers of the return engagement to the duelling that happens between he and his creator, the talented and very funny Melanie Watt. He has such an huge feeling of self-importance and she is bending over backwards to create a story for Chester that will satisfy him. Of course, nothing is likely to do that! He edits almost everything she writes, including the dedication and adds comments to the text, which speak to his character. His fans seem to find it quite endearing, not so his author. He perpetually adds his own spin to the story, billing himself 'the great Chesterdini' in an effort to prove himself the star, which he already is. Driven to distraction by his unending interruptions, the author looks for another star...but that will not work! Bowing to his power, she wonders what he wants and is met with a list that would make any other self-serving star seem tame. There is little subtlety in this cat's demeanor and readers will delight in the diva demands. Just when the table seem to turn on Chester, he takes it to the limit and leaves us in stitches. 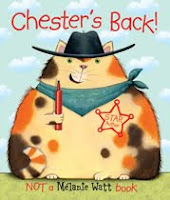 Hopefully you have the first Chester book (Kids Can, 2007) and you will be able to share the fun of both books (and all the laughs) at one sitting. While sitting at the computer working on this post, I have been watching classic Laverne and Shirley episodes with Erin...laughing out loud and excited to watch 'just one more'. The one we are watching at the moment is called "Oh, Hear the Angels' Voices' which aired on December 21, 1976. While Lenny and Squiggy's song in honor of Santa Claus has a distinctly different tone than this beautiful book, it is worth watching! Now, on to tell you all about this lovely, timeless holiday story. When the nights are the longest and the stars are shining brightest in the north, Santa feels a 'tingling' in his whiskers. He knows that the time is coming and he must make his preparations for the upcoming season. He brings the reindeer home and feeds them well so that they are ready for the long, arduous ride. Santa polishes the jingle bells and the sleigh, and takes care to choose the perfect gift for each child of the world. He loves each one and knows them well enough to know just exactly what it is they want. The gentle words of this tale are perfect for a Christmas Eve bedtime read. It is made more beautiful with Jon Muth's wintry pastel watercolors. They warm the cold evening air and our hearts as it is shared. It might even become a new classic for your holiday season. 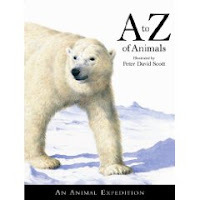 “Discover some fascinating facts about all the different animals you have seen in this book and a few that you might not have spotted…"
There is never much to say about alphabet books about animals...except that it is a book that follows the alphabet and shows the wild animal being described. That, however, would not give this lavish book the praise that it deserves. On each page one animal is the star, and another the understudy (not so obvious, but also stunning). What a steal of a deal for this gorgeous animal alphabet! You have to see the lovely detailed artwork to believe its authenticity and dramatic power. To add to the value, the author includes fact-filled notes at the end of the book. Kids will love it!